After being denied entry into Canada last fall, organizers of an annual conference in Montreal say former U.S. intelligence analyst Chelsea Manning has been granted a visa to speak at their event later this month. Former U.S. intelligence analyst Chelsea Manning has been granted a visa to speak at an event in Canada later this month after being denied entry last fall, organizers of the annual conference in Montreal say. "A true pioneer, we're humbled that Chelsea chose the C2 Montréal stage for her first public appearance in Canada," said the event's president Richard St-Pierre. Organizers said the visa was arranged through Manning's team and is valid from May 23-25. 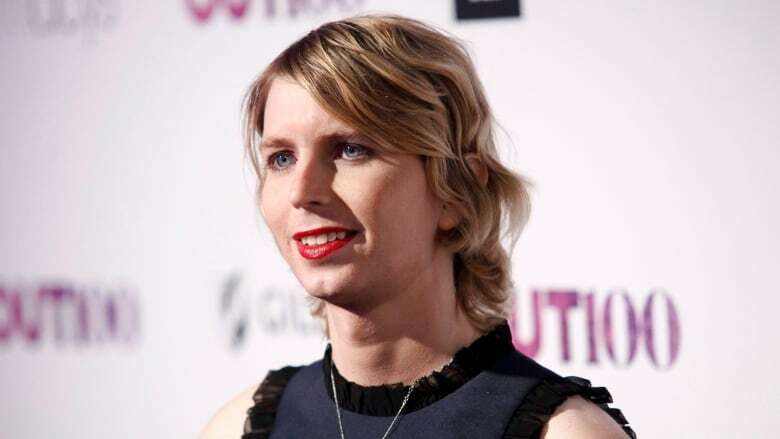 Manning attempted to enter Canada on Sept. 22, 2017, but was detained at Quebec's St-Bernard-de-Lacolle border crossing and ultimately denied entry because of her prior conviction in the United States on espionage charges. She was convicted by a U.S. military court in 2010 for providing a wide-ranging trove of classified documents — including diplomatic cables, incident reports from the wars in Iraq and Afghanistan and evidence of human rights abuses by the U.S. military — to the website Wikileaks. She was sentenced to 35 years in prison, but in one of Barack Obama's last acts as president, he commuted Manning's sentence. A spokesperson for Public Safety Minister Ralph Goodale, who overseas the Canada Border Services Agency, wouldn't comment on the visa. "We don't comment about individual admissibility decisions due to privacy reasons," said Scott Bardsley. The seventh edition of the conference, described as a conference on commerce and creativity, is being held May 23-25.